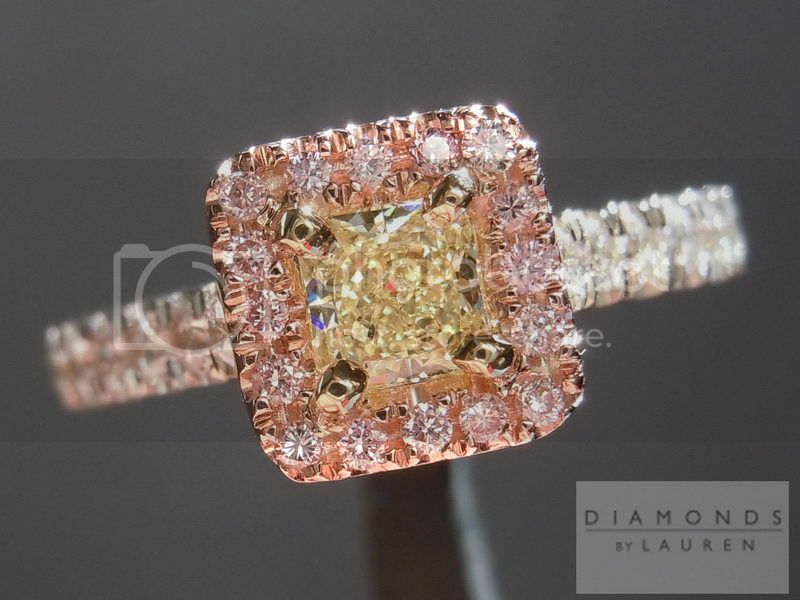 The center diamond in this ring is a well cut .35ct Y-Z, Natural Light Yellow Radiant Cut Diamond. 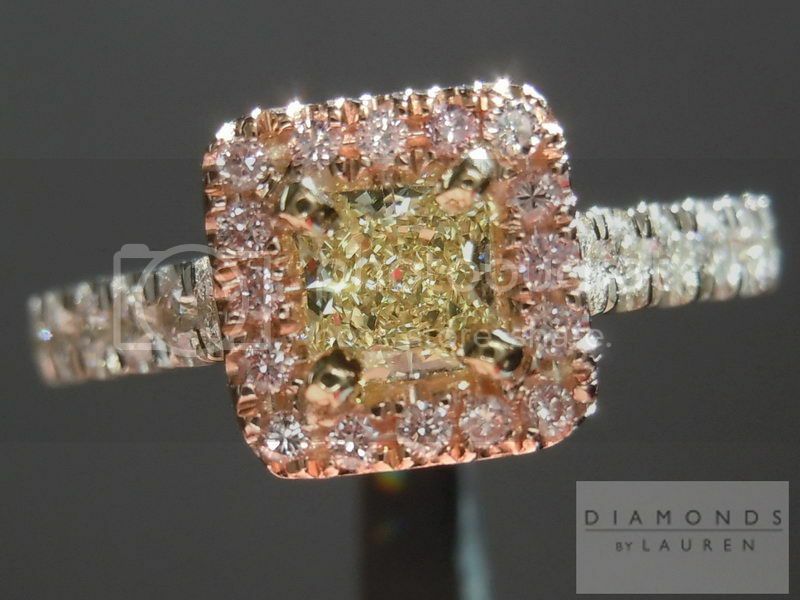 It was bought as a part of a large parcel of yellow diamonds giving us a great deal that we can pass on to you. 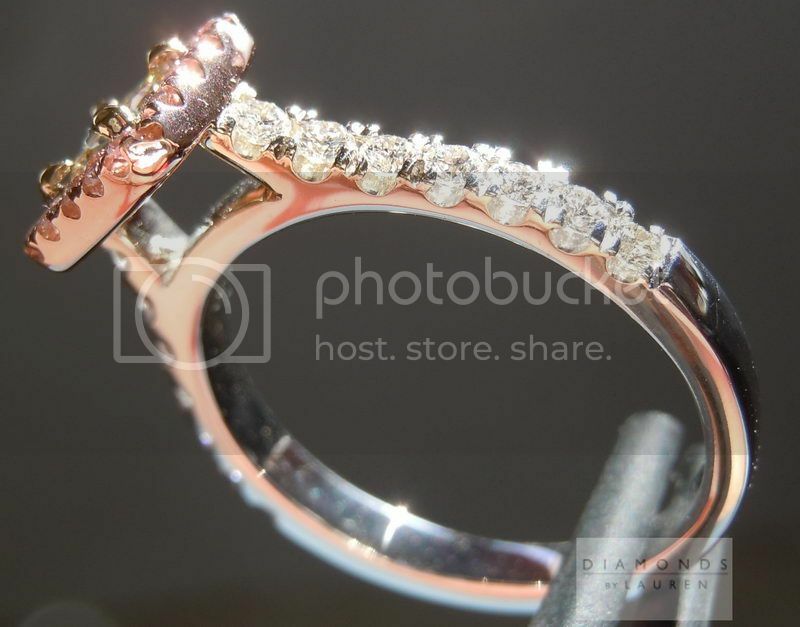 In order to keep help keep the cost of this ring down, we used more reasonably priced pink diamonds in this ring. 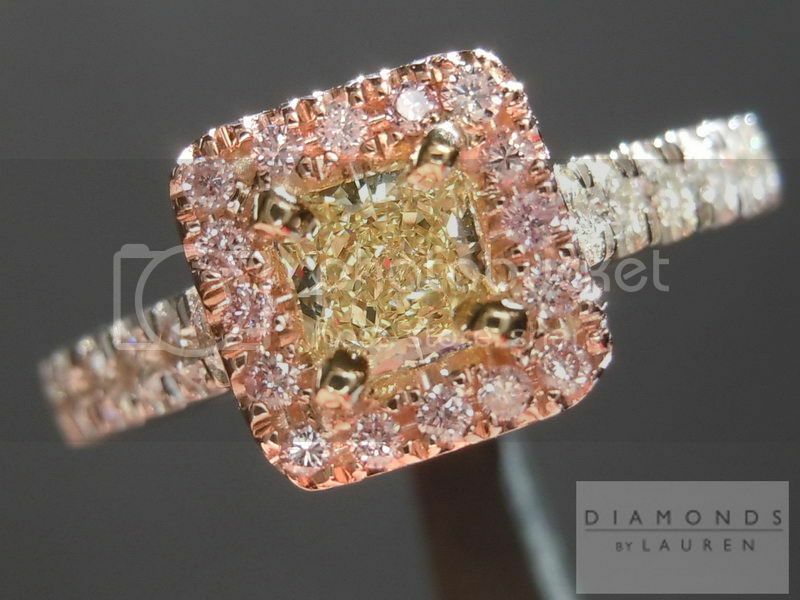 These diamonds are very pink and beautiful all the same.